Now is the time to practice cheap living; more so than any other time in most of our lives. Many people have lost their jobs and need to cut back on their spending. A large percentage of our monthly budget is spent on grocery shopping. In this bad economy we continually see rising food prices. It certainly is not Painless Cooking if we have to spend all our money on food. 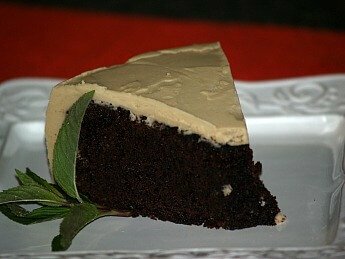 With these high food prices most of us are looking for ways to save money on food. There are many ways to Survive Inflation with the Rising Cost of Food, but it does take some serious thought and planning. We have just gone through a time of major extravagance in spending, certainly not cheap living. In recent decades most of us have lived a lifestyle which was at one time thought to be impossible. We have accumulated material items like never before in my lifetime; most were not even available for purchase. I often remark about the ingredients that I now cook with; my mother would be amazed at the variety of recipes and the massive selection of ingredients. When Mom and Dad were cooking, the ingredients basically came from what we raised and canned and meat we raised everyone learned to cook. How to cook hamburger for economical meals; recipes for meatloaf, casserole, microwave meatloaf, broiled hamburgers and hamburgers on the grill. 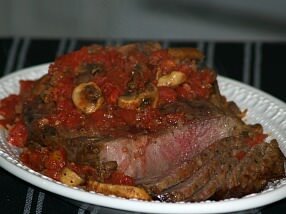 How to cook steak using the cheaper cuts but still tasty; recipes for oven steak, sauerbraten steak, lime marinade for steak, bourbon marinade, smothered steak, Swiss style, chuck steak and cubed recipe. 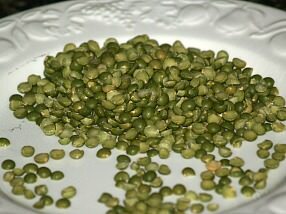 Learn how to cook split peas and make tasty cheap dishes. Make a split pea spread appetizer, a double pea soup, a spicy casserole, split peas and ham, French pea soup, yellow split pea soup, a spicy split pea soup and a split pea soup with kale. 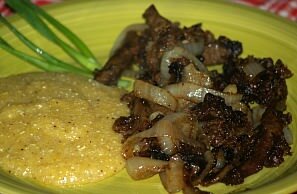 Budget cooking with recipes for liver and onions, hamburger pie, black bean burgers and mushroom stroganoff. Learning how to cook a whole chicken it is cheaper than buying parts; recipes for dumplings, oven fried chicken and baked chicken pieces. Cheap living has never been tastier! Cheap recipes to feed your family like homemade salami, cooking dried beans, cooking rice, making beans and rice, Salisbury steak, chicken and dumplings and hamburger casserole. Easy Cheap Recipes like mayonnaise cake, baking powder biscuit mix, self rising flour biscuit mix, homemade biscuits, sweet muffins, fruit cobbler and pancakes. 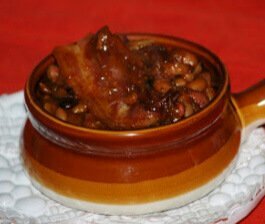 Make delicious baked bean recipes: My favorite baked beans for a crowd, recipe for 80 people, slow cooker baked beans, lima beans, sweet and sour baked beans, bourbon baked beans, Texas bean bake, sausage and baked beans, cranberry baked beans, truckers baked beans, K.C. masterpeice barbecued baked beans, bean pot casserole, bean medley, corn and bean casserole, Boston baked beans and baked beans with sage sausage. Fabulous Appalachian mountain food: country biscuits, potato soup, sour milk cornbread, cornbread salad, persimmon pudding, grits and sausage, bean soup, bread pudding, moonshine pie, collard greens, fried green tomatoes and skillet fried chicken. 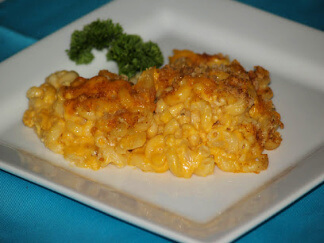 Learn how to make macaroni and cheese with the following recipes: President Reagan's favorite, white cheese and macaroni casserole, basic sauce, western mac and cheese, basic, simple, creamy, elegant Greek pastitsio, dotted and cheese macaroni medley. Learn to Cook starting with the basics which is the beginning of cheap living; cooking at home is much more economical than eating out or packaged foods. By having an Emergency Food Storage you can save dollars; buy when items are on sale and save on food as well as gas on useless trips to the grocery. With the Rising Food Prices, we all need help in fighting this inflation; tips and recipes for biscuit baking mix, cheese muffins, creamed eggs and chicken pie recipe. Biscuit Mix Recipe and recipes to use the mix in like turkey casserole, zucchini casserole, deep dish pizza and blueberry crumb cake. One or two Meatless Meals a week will help stretch the grocery budget an easy tip for cheap living; recipe for Mexican beans and rice, Mexican dip, vegetable risotto and breakfast tacos. If you are busy working Easy Recipes made with prepared foods are still more economical than eating out; recipes for quick chicken, baked wings, pudding dessert, lasagna and macaroni and cheese. Make your own Pancake Mix Recipe will save money; recipes for cherry, plum, apple, bacon and onion toppings with basic pancake mix and how to use in onion rings. Dog Cookies and other pet treats can’t be overlooked even though we are saving money; try Enoch’s and Malachi’s recipes for dog treats, dog cookies and our horse cookies and apple muffins. 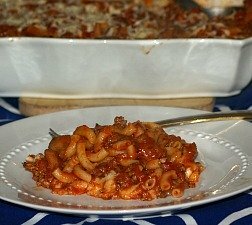 Learning How to Grocery Shop is necessary for saving money on food; recipes for Italian casserole, chicken pie and easy baked chicken. Homemade Rice A Roni Recipe for easy preparation of cheap recipes; make meatless meals or choose from a variety of meats to add to recipes. Freezer Foods are great to have for a quick healthy meal. 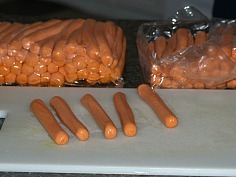 Learn how to make great, economical meals with hot dogs. At Christmas time, we spend more on gifts and decorations than ever before. Americans spend many millions of dollars to have their teeth whitened. It seems that almost every man, woman and child carries at least one cell phone. We spend millions on diet products and yet more people than ever are obese and the count is going up. None of this reflects an attitude for cheap living. We all need to get serious about getting our priorities in order. The positive note is that it can be done! I hope to help with some of the following suggestions. First if you have accumulated a lot of materialism, sell off anything that you are not using. If you have not used something in the past two years, you probably do not need it. Have a yard sale and get rid of it. Getting rid of the clutter will also clear your mind. Take the money from this and purchase food for emergency food storage, maybe for your favorite pasta recipes. Buy long term storage items that you normally use this is a step in cheap living. The prices are increasing everyday so you will be happy to have extras in your pantry. For material things, try to make do with what you have. If you really have to have something and it doesn’t fit into your cheap living budget, try to get it on sale or discounted. Many items can be found at yard sales; I have found kitchen utensils, pots, pans, molds, dishes, dish towels and many more items like new at yard sales at very cheap prices. Also many stores are now clearing everything out so there are some very good buys available. Cheap living means prioritizing your miscellaneous spending. Stay away from stores as much as possible. Never buy on impulse. Always think about a purchase overnight, even the smallest items. Most wasted money is spent on small junk items. Plan (how to grocery shop); this includes a complete grocery list. Do not shop when you are hungry; it puts you at risk for purchasing items that you normally would not buy. This all helps to combat the rising food prices. Try making a biscuit mix recipe it can be used in many delicious recipes. Most of the grocery budget is spent on meat; by serving meatless meals throughout the month, a lot of money can be saved. 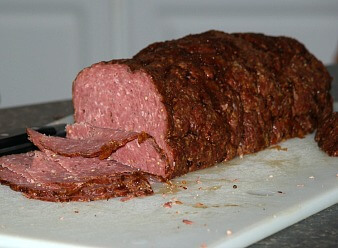 Learning how to cook hamburger or ground beef, with the cheaper quality you can make some very good cheap recipes like homemade salami. If you like buy a little better quality with less fat and make other hamburger recipes. This taco pie recipe (or beef pie recipe) is a way of applying cheap living by using hamburger in the recipe. With all the flavoring in this dish your family will surely love it. Brown beef and onions in Dutch oven; drain any fat.Stir in 2 tablespoons taco seasoning, beans, brown sugar, soy sauce, Worcestershire sauce, ketchup, vinegar and dry mustard. Cook and stir until just starts to boil; remove mixture from Dutch oven and set aside. Melt butter in pan; add milk and remaining taco seasoning. Remove mixture from heat and stir in mashed potato flakes until blended. 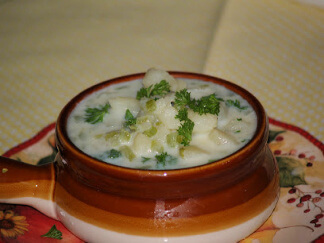 Press potato mixture in bottom of pan and rounded on sides. Place beef taco mixture on top of the potatoes; bake for 30 minutes at 350F degrees. Top with shredded cheese and place back in oven until cheese melts. Serve with sour cream, lettuce, tomatoes and olives. 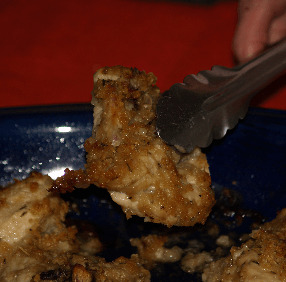 Chicken is another economical source of protein and often easy recipes. Dollars can also be saved if you learn how to cook a whole chicken rather than buying cut up pieces. If you want pieces learn how to cut the chicken yourself. 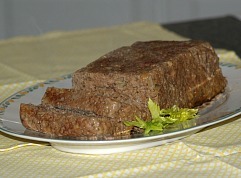 Although it is a more expensive cut of beef, some of us do not want to give up our steak. Learn how to cook steak using the cheaper cuts like round steak. It is delicious when cooked properly. For cheap living, purchase chickens whole and learn to cut into pieces; they are cheaper whole and are more often on sale. Soak beans in 4 ½ cups water for 2 to 4 hours; add broth, chopped onions, 1 quartered carrot, spiked onion, thyme, marjoram and celery leaves; bring to boil, reduce heat and simmer 1 hour. Brown bacon and drain and cut into small pieces; slightly brown chicken in bacon fat. Add bacon, chicken pieces, remaining carrots and Polish sausage to bean mixture. Bake in casserole baking dish for 1 ½ hours at 350F degrees. Many of us waste extra money purchasing mixed products like a pancake mix recipe, biscuit mix recipe and many other mixes. Learn how to make your own mixes; you will save money and find them so easy and convenient to make. We have a huge population of people who are looking for a cheap retirement living lifestyle; including me. Many people that I know have moved to Ecuador because they cannot afford to buy food and pay expenses here in the United States. Living here, there are ways of cutting expenses; the rising cost of food seems to be the biggest problem facing our seniors. The previous suggestions also apply here but learn to cook for one or two as you need. Cooking extra often goes to waste with senior citizens. We certainly do not want to forget our pets when we think about cheap living. Many of us have pets and they are like family. They offer companionship and friendship, especially for us senior citizens. We can spend a lot of money on their food and treats. My mastiffs both love dog cookies. They don’t get them all the time but when they do they want a lot; with their size they can eat a lot. How can I resist giving them! Save money on these pet treats by making them at home. Cut recreational spending. There are many things that you can do for fun that are free. We are seeing the visitors at our beaches picking up because it is great free entertainment. People are bringing their families and a picnic lunch; this is a great way to spend a day. In Tennessee and other states, there are beautiful state parks to enjoy free. Often there are grills provided for cooking. Cheap living means cutting the times that you eat out in restaurants; these amounts to a huge expenditure for most Americans. Cheap recipes can be a better quality healthier meal for much less by cooking at home. Cooking the equivalent recipe at home is often many times cheaper than eating it out especially when you learn how to grocery shop. 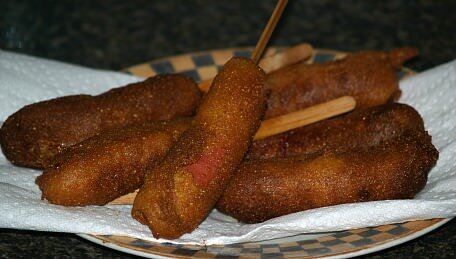 Practice cheap living and be a hit with your family at the same time with this corn dog recipe. These are so much cheaper to make than to buy frozen; and better tasting. Children love these! Use any remaining batter to dip vegetables in and fry them. Combine flour, cornmeal, sugar, mustard, baking powder and salt. Add egg, milk and melted shortening; mix until smooth. Pour batter into a tall glass; place hot dogs on sticks. Dip hot dogs into batter one at a time and fry in hot oil until golden brown; drain on paper towels. TIP: Dry hot dogs with paper towels before dipping. Spend some time learning budget cooking or cheap cooking. Don’t let your taste buds rule you; learn to cook with cheaper ingredients and cheaper cuts of meat. Don’t be afraid to try something different. Many of the cheap recipes are often the best tasting. Never throw any leftovers away; find ways to reuse them. 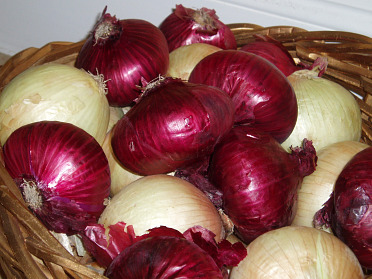 Many of these like meat and vegetables can be frozen and later added to soups. Cheap living can be a more enjoyable lifestyle.